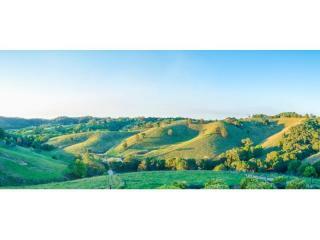 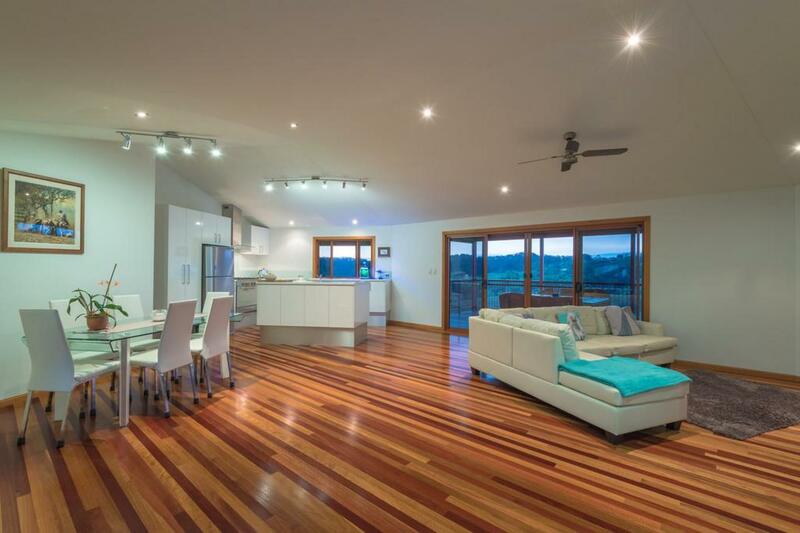 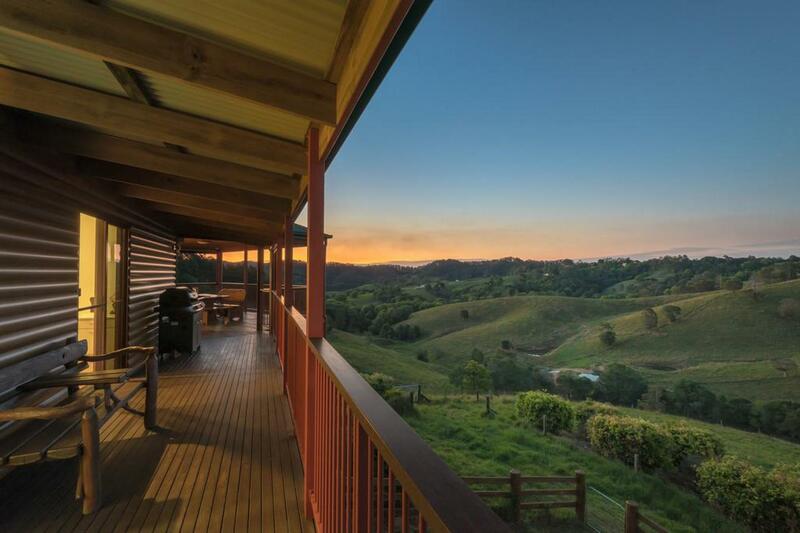 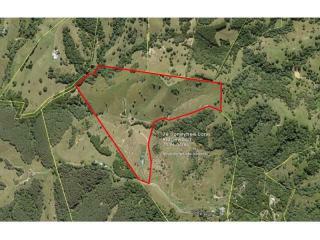 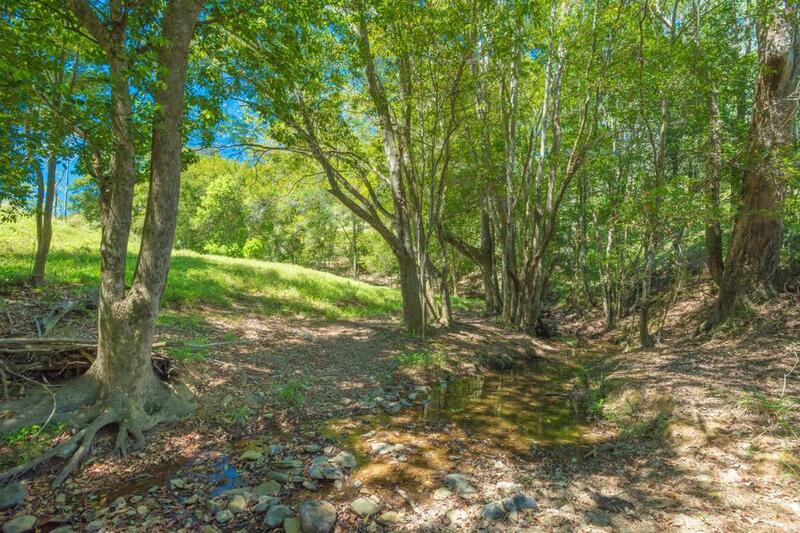 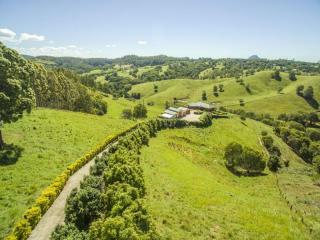 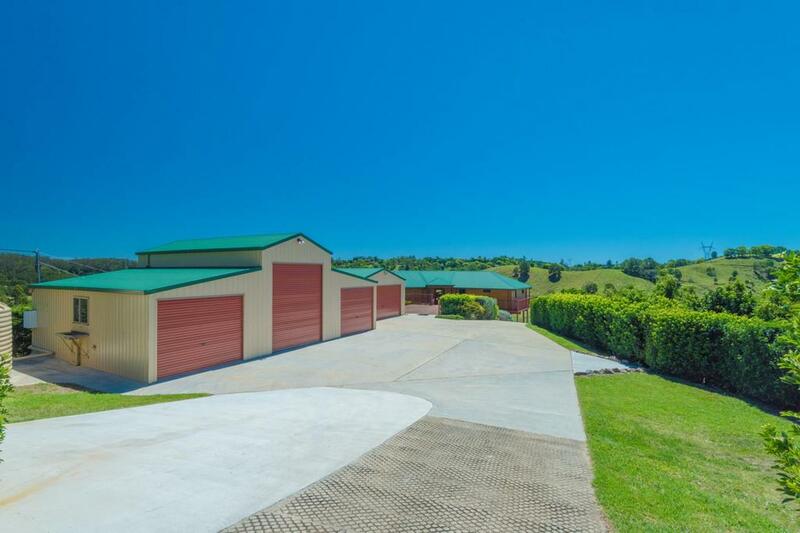 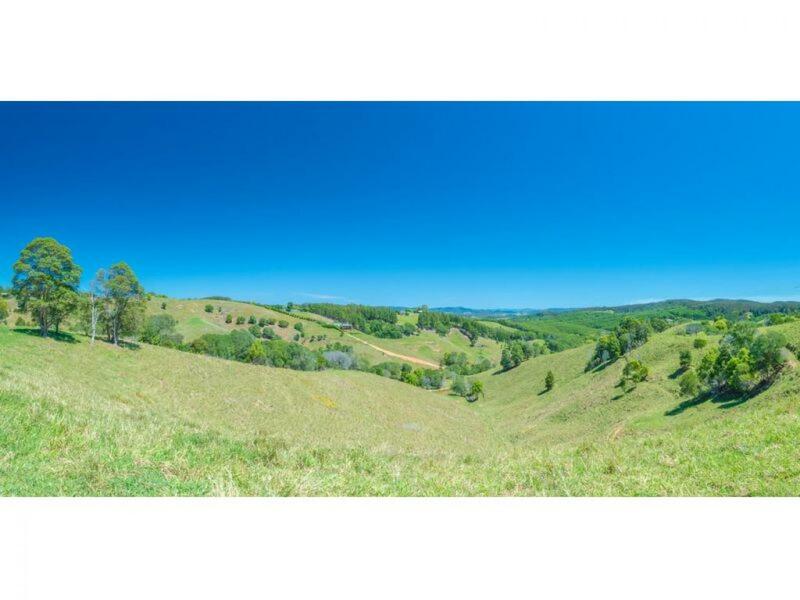 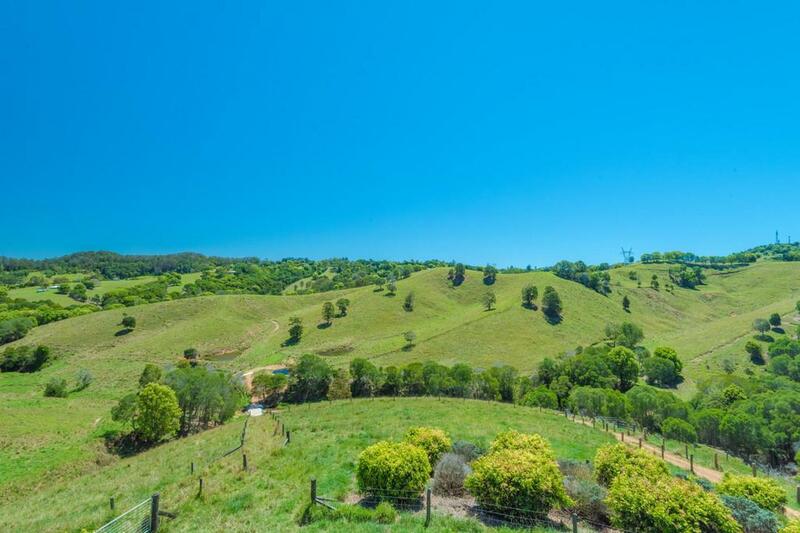 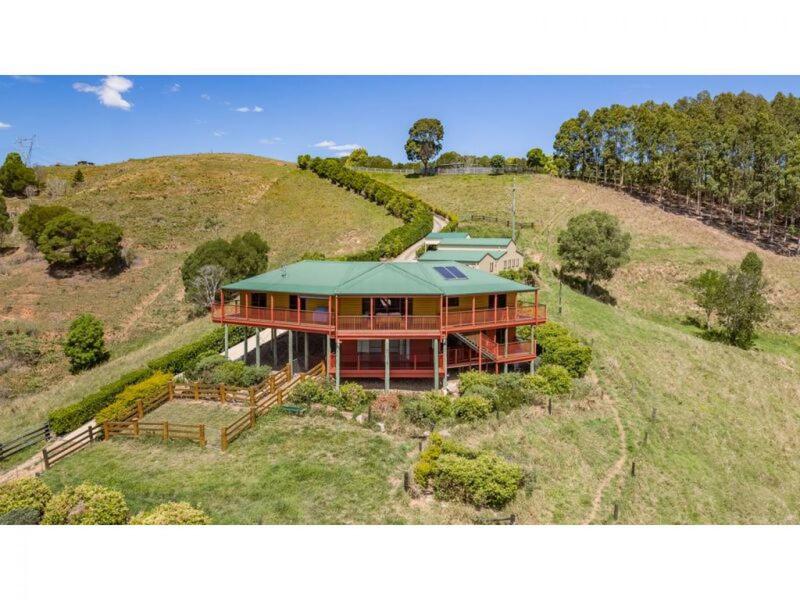 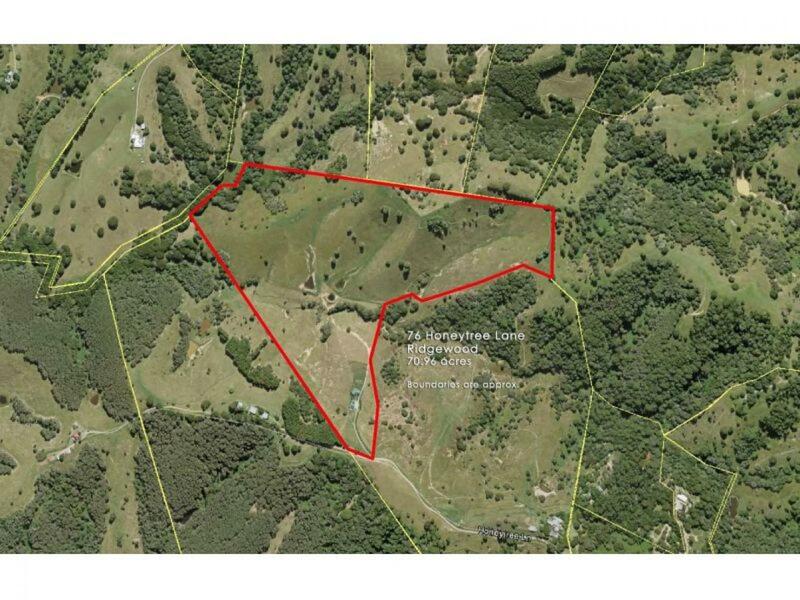 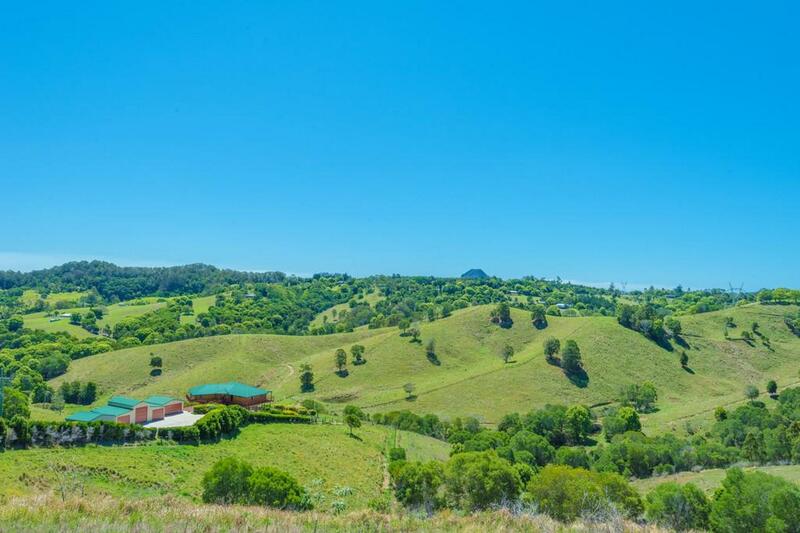 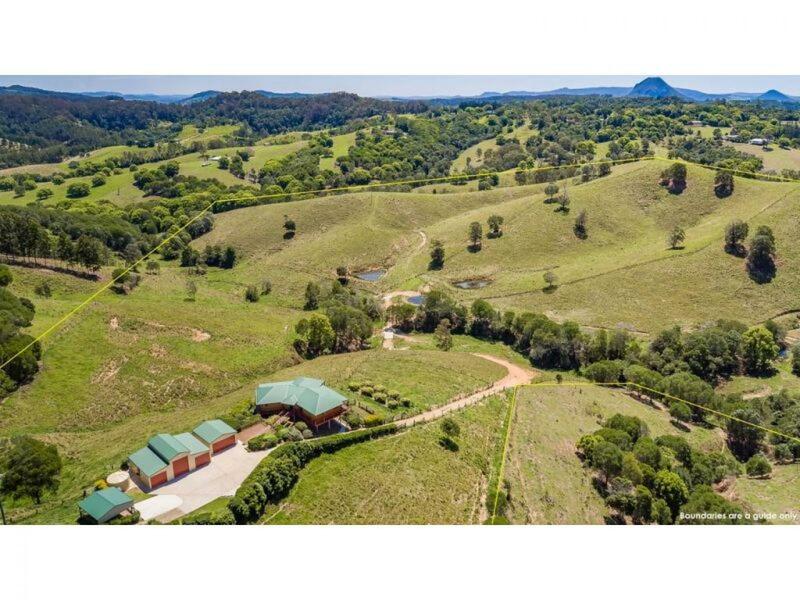 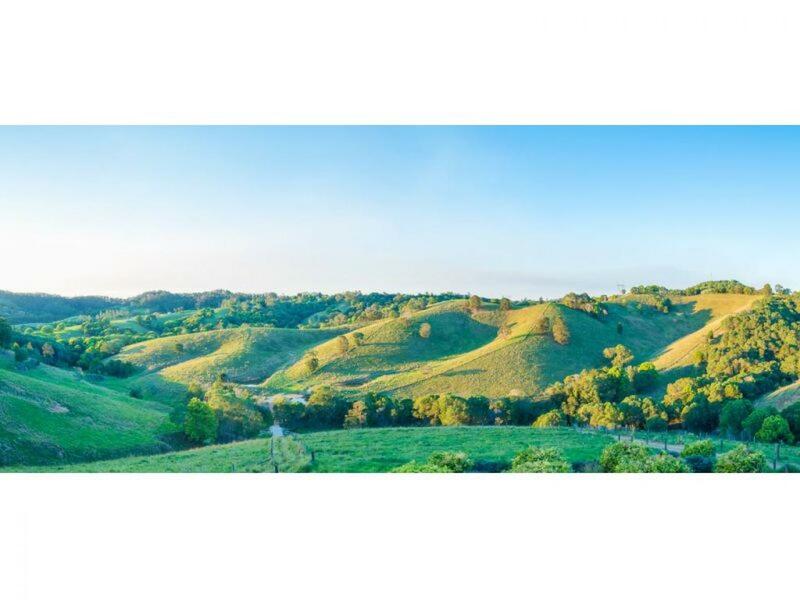 Situated on a quiet country lane just a short 10 minute drive to Cooroy in the beautiful Noosa Hinterland, is this stunning undulating acreage 28.72ha (71 acres) property that has privacy, views and an equally impressive home. 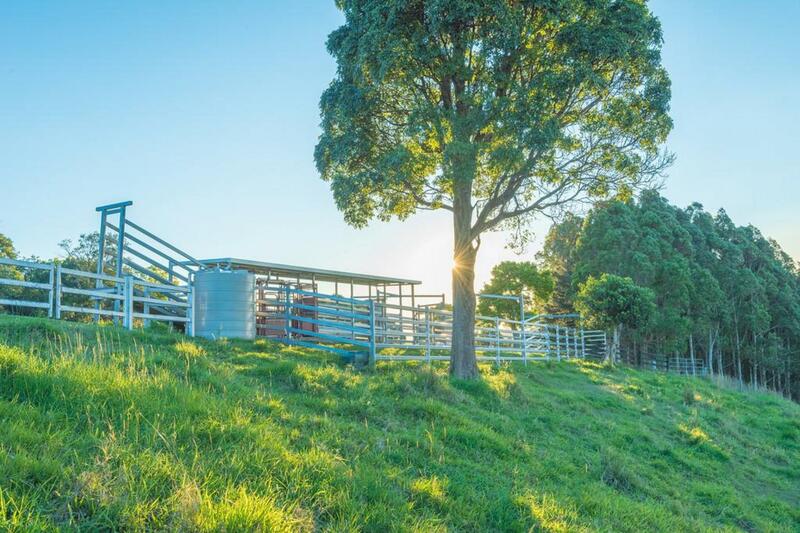 The pasture improved land is set up beautifully to run cattle and currently carries 30 head all year round comfortably (including an award winning heifer!) 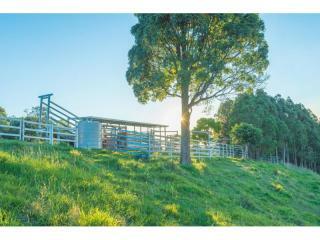 Everything is quality from the concrete drive in, to the steel cattle yards with hydraulic vet crush, fencing and shedding, just superb. 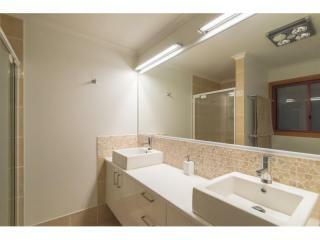 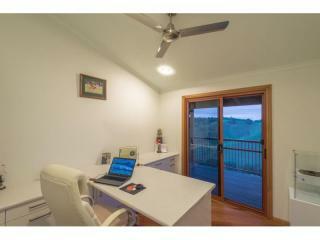 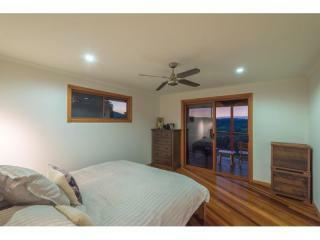 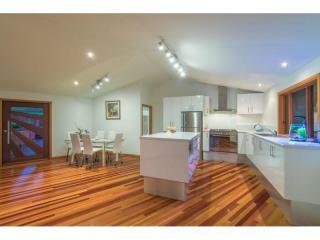 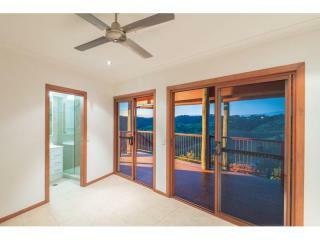 The 3 bedroom plus study, 3 bathroom, timber home is in excellent condition and presents as new. 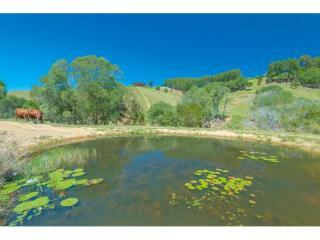 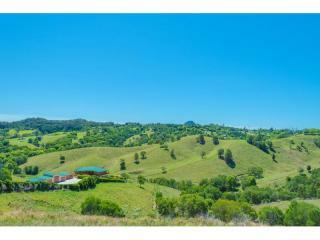 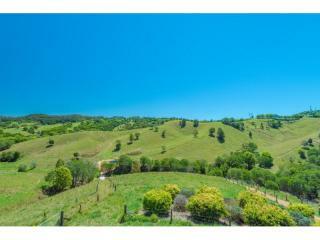 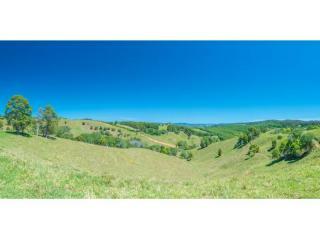 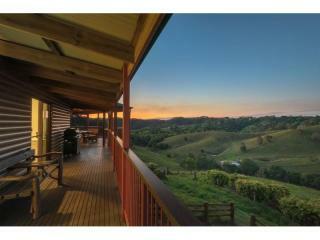 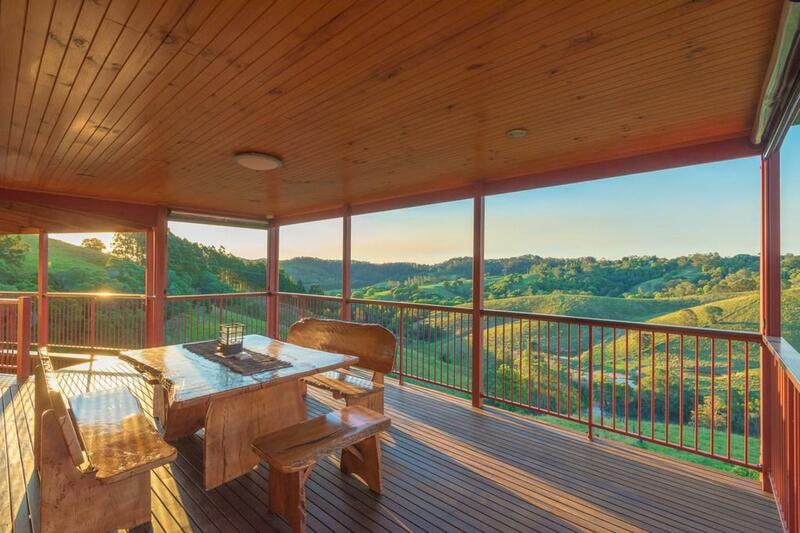 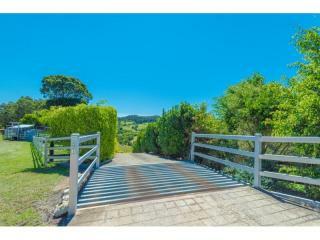 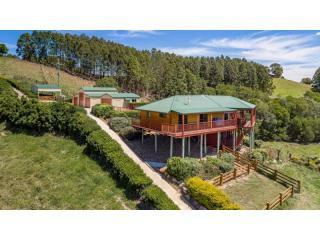 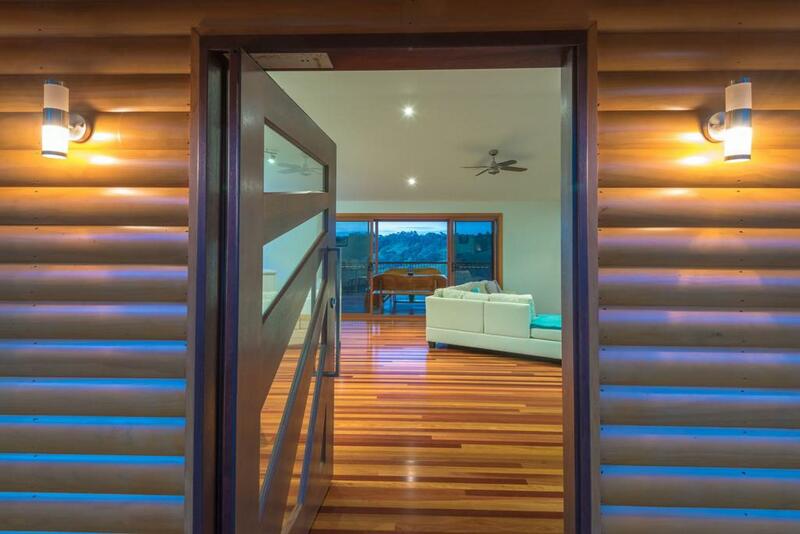 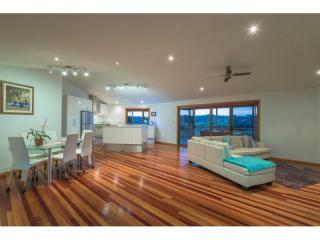 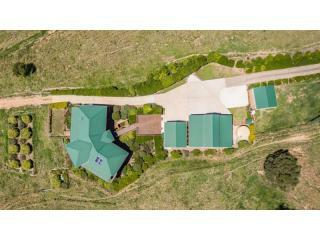 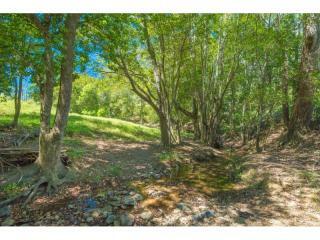 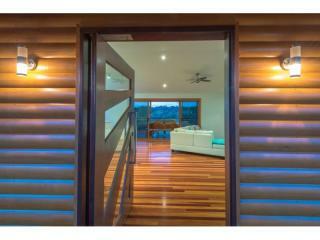 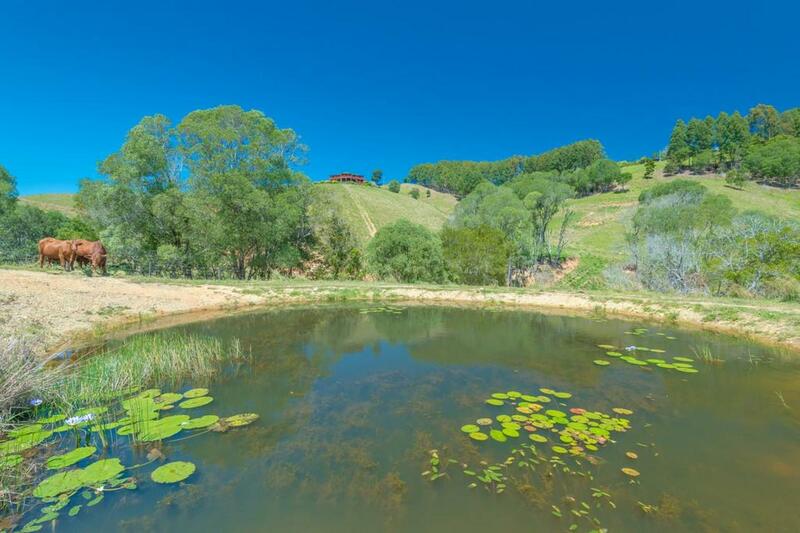 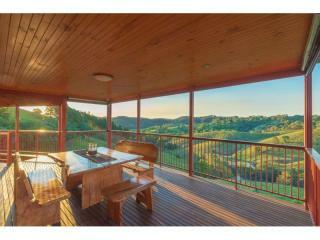 Its aspect is due north and overlooking the property whilst embracing the panoramic rolling hill views beyond. 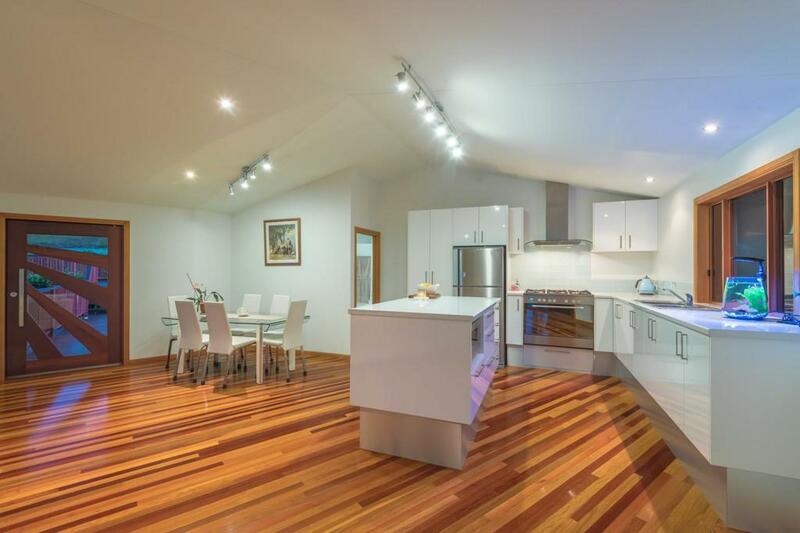 Open plan living with mixed gum hardwood floors, inspiring kitchen with Caesar stone bench tops and quality fixtures and fittings throughout. 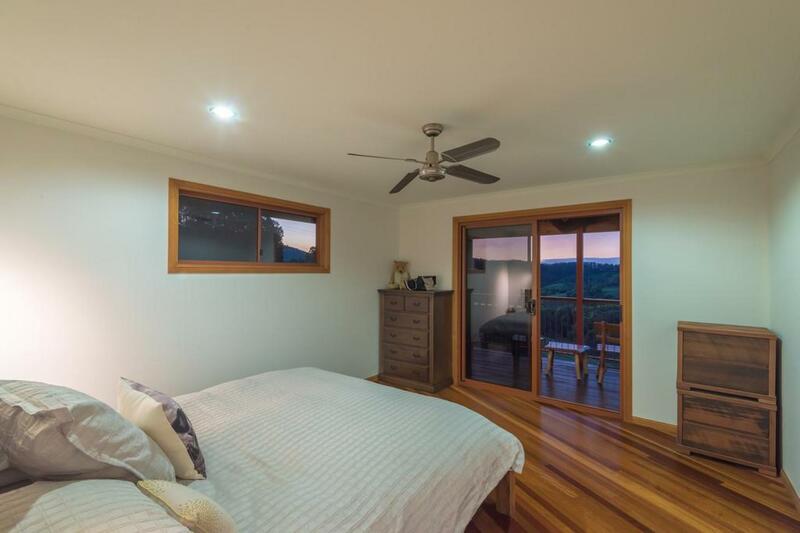 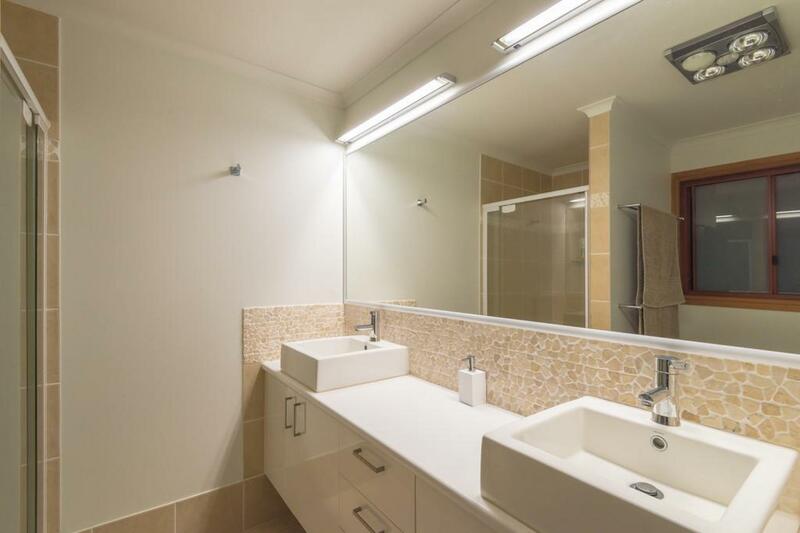 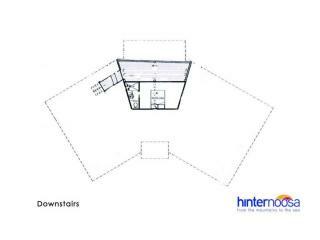 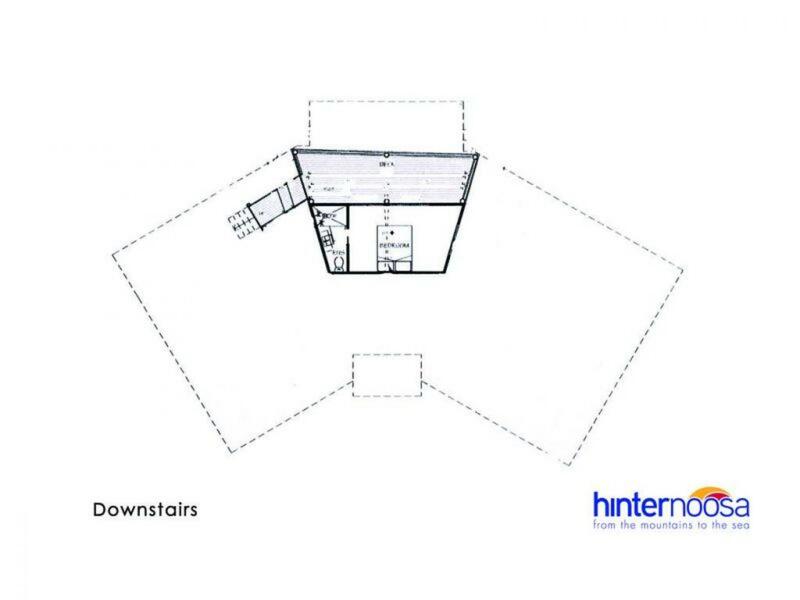 Other features include a second ensuited bedroom ideal for guests, solar hot water and verandahs on both levels. 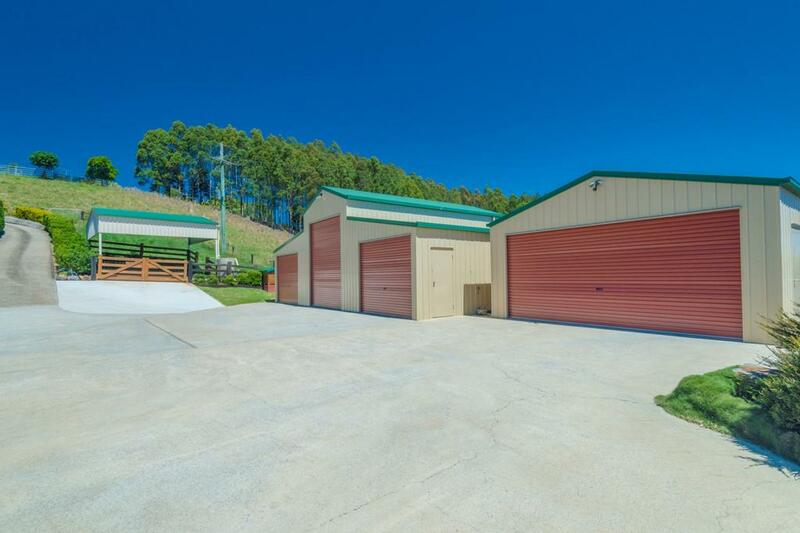 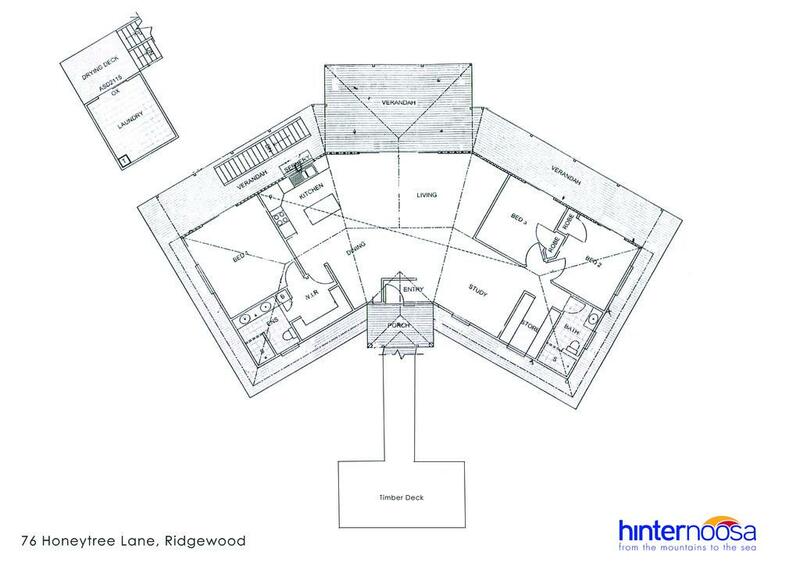 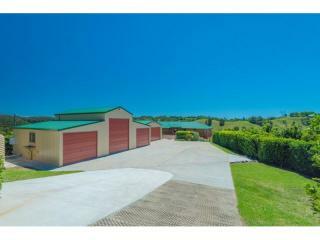 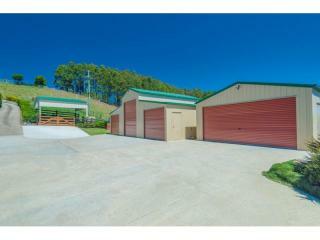 Plenty of storage with a 2 bay shed/garage plus a 3 bay American style barn shed with extra height. 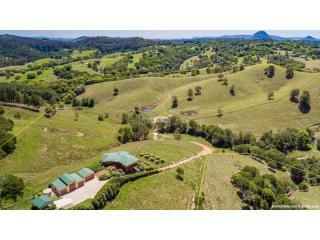 The land has plentiful water from 4 dams, 4 plumbed troughs, plus a creek (average annual rainfall here is approximately 60"per year), there are 8 big paddocks and a lane way for the cattle to walk to the yards. 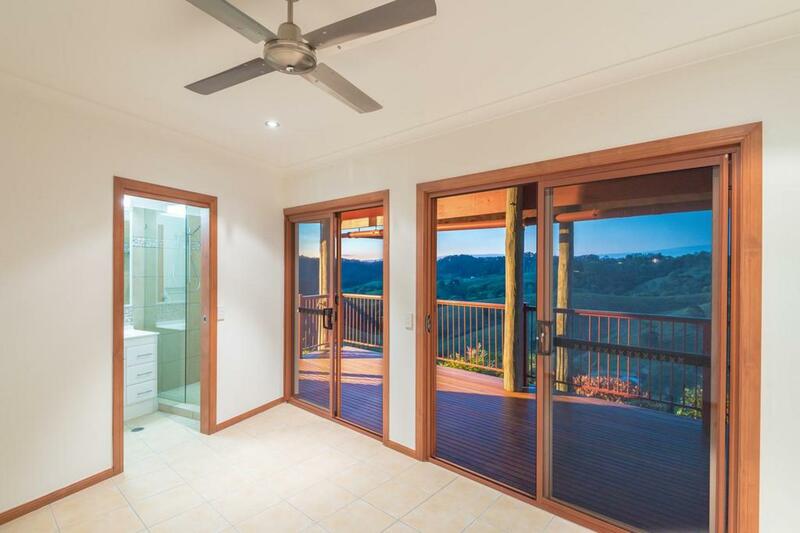 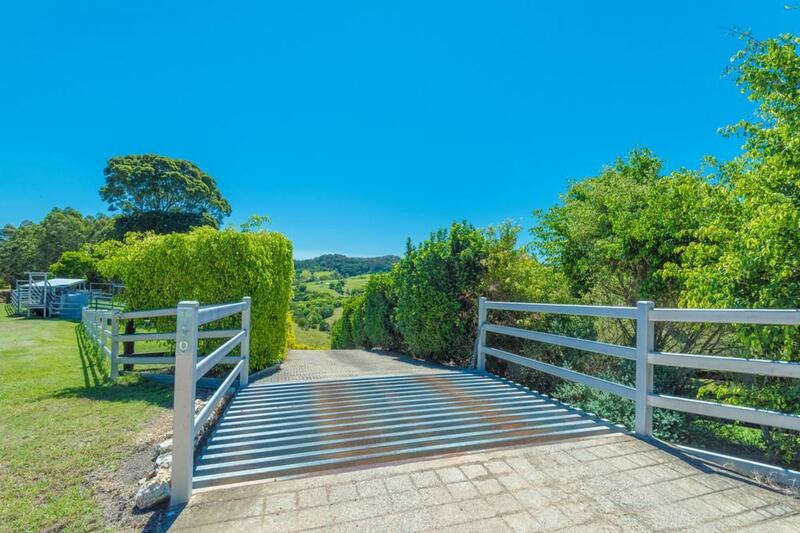 Quality fencing and gates, there really isn't a thing to do other than sit back and enjoy the million dollar views right here in the region of Queensland's Sunshine Coast, where living is a lifestyle.